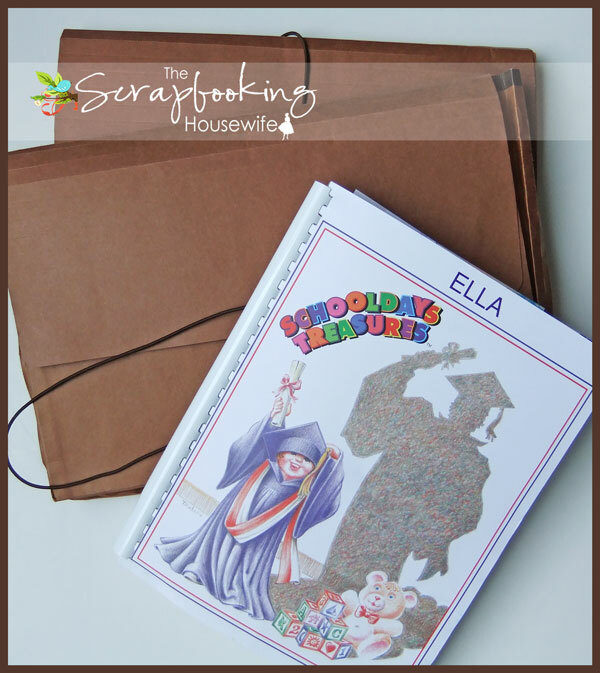 Just a quick post today to share with you how I organize all of the school papers, memorabilia and artwork the kids bring home from school on a daily basis - accordion file folders (similar to these). While they certainly aren't pretty, they do the job just fine!! One of these days I tell myself that I have to prettify these! But, for now, they will suffice. *Please note: Some of the links in this post are affiliate links. Please see our full disclosure policy here. I also have these "School Treasures" coiled books (I had one as a kid myself! ), where I can attach their school photos, and note who their friends were, what activities they did that year, the special events attended, and special achievements and milestones. My favorite is "When I grow up I want to be..." part! It's so exciting that they hold the world in their hands and can become anything they want to be! I can't seem to find any more of these "School Treasures" books, as I have been trying to find one for my third child, but I have found similar books such as this one. They are kept in the accordion files as well, as they can only hold so much. It is nice to have everything in one place now. I do try to weed through my kids' school memorabilia & artwork and keep only the things that mean the most to the kids or myself. I like to display the artwork or projects on our walls for a short time, then tuck them away inside the files to be brought out at some point in the future to admire once again. What better place to display their works of art than by the kitchen table where we can see it everyday and talk about their special pieces? 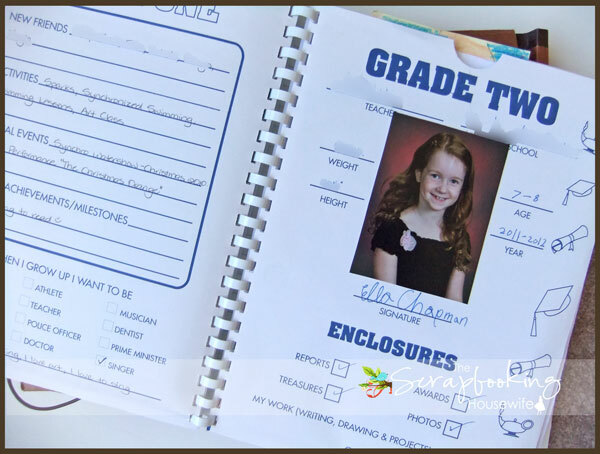 How do you store all of those school papers, memorabilia, artwork that your kids bring home? 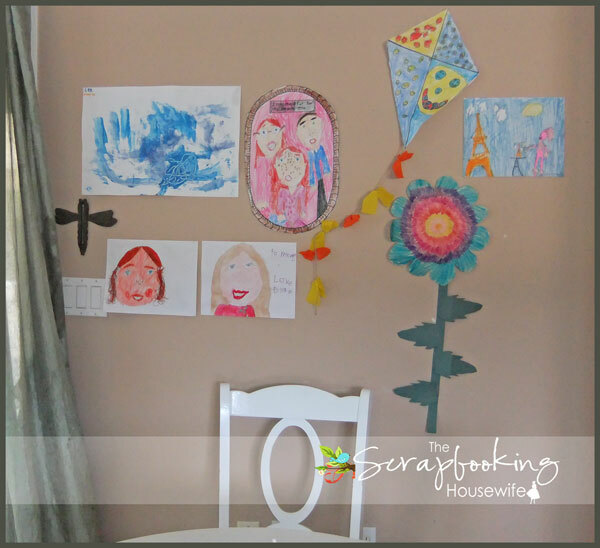 Do you proudly display their artwork on your walls, too?